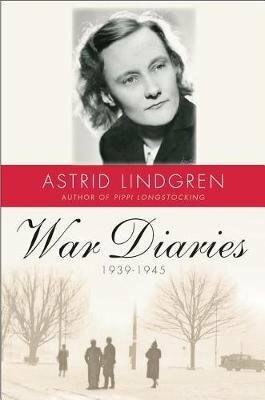 These personal diaries kept by Astrid Lindgren, author of the world famous Pippi Longstocking books, chronicle the horrors of World War II. Before she became internationally known for her Pippi Longstocking books, Astrid Lindgren was an aspiring author living in Stockholm with her family at the outbreak of the Second World War. The diaries she kept throughout the hostilities offer a civilian's, a mother's, and an aspiring writer's unique account of the devastating conflict. She emerges as a morally courageous critic of violence and war, as well as a deeply sensitive and astute observer of world affairs. We hear her thoughts about rationing, blackouts, the Soviet invasion of Finland, and the nature of evil, as well as of her personal heartbreaks, financial struggles, and trials as a mother and writer. Posthumously published in Sweden to great international acclaim, these diaries were called in the Swedish press an "unparalleled war narrative," "unprecedented." and a "shocking history lesson." Illustrated with family photographs, newspaper clippings, and facsimile pages, Lindgren's diaries provide an intensely personal and vivid account of Europe during the war.